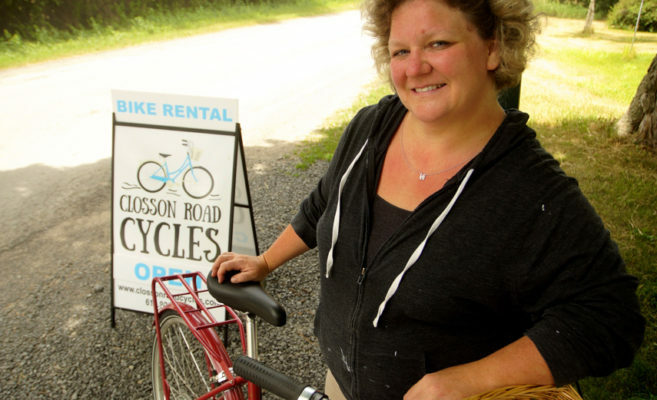 Her name is Cassandra Tyers and her business is bicycles. 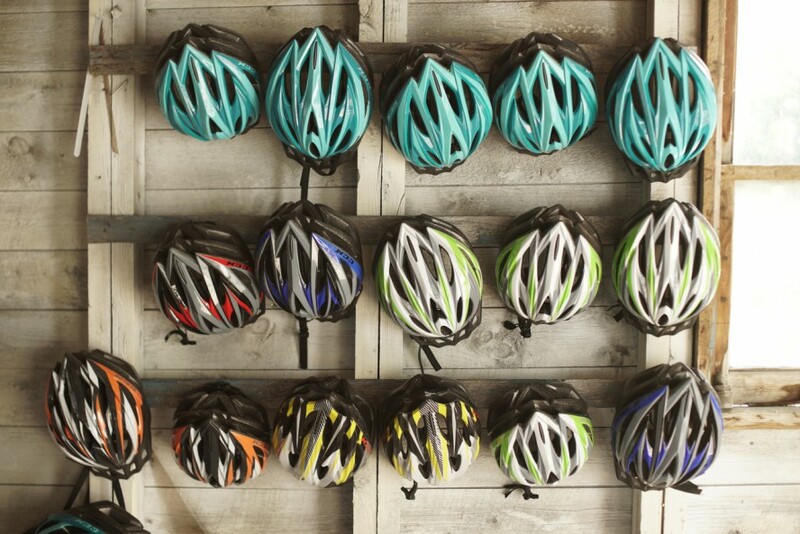 Oh, she could have had fun with the name, but Cassandra kept it simple with Closson Road Cycles, which places her firmly in the heart of County wine country. She and Keith Tyers, winemaker at Closson Chase, moved to The County in 2003. We’ll let Cassandra take it from there. “We were sitting in our apartment in Toronto, before we had kids, and my husband said “You know Prince Edward County?” and I said, sure, that’s Picton and, umm, Sandbanks right? But I didn’t know The County as an entity, as A Thing, then. He was interested because he’s a wine guy, a sommelier, in the business. “Well, they’re growing grapes!” he said. We always used to travel to Niagara, he was headed in that direction, and we wanted to start a family, and I wanted to be closer to family in Kingston. Well, we took a leap of faith. We quit our jobs, sold the house and moved to The County….